Do you like "Lost" as much as I do? I can't wait for Thursdays! 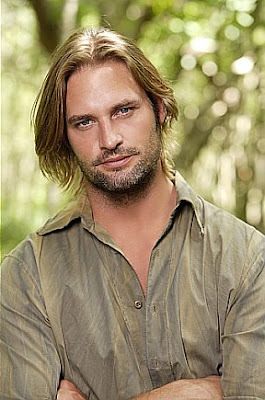 I found this fun little time waster of a Web site, where you can get your very own nickname from Sawyer. Mine would be Peachfuzz. I really hope tonight's episode has a few more answers, but I doubt it will. I can hope, right? Obviously, I'm not that busy today or I wouldn't be spending so much time surfing the Internet. And here's a a little look at what I've found .. so far. I found another purse I want and will covet from afar. Why is it that when some people see a cupcake they drool, but when I see a purse I have the same reaction and can't stop thinking about it? I want to take this class. And then I want to get to work on writing some children's books. Some day, I'd really like to enroll in this program. I want to enroll Shelby in a class here. I really want these shoes, in all three colors and these too. But come on, are they really something I need? I can justify the Chucks and they are as cute as they are comfortable. I want to finish the baby blankets I've been making for, umm, like months. One for Elliott and the other for Georgia. I found this awesome site that I was hoping would motivate me to sew more, and also give me some good project ideas. Both of the blankets I'm making are very close to done ... all I have to do is put the finishing touches on them, so I'm not sure what my problem is. I think I have new-sewers-anxiety ... once I finish the blankets, then I'll have to give them to the babies and what if everyone thinks they are horrible?